It was a wild night for weather in parts of the D.C. metro area Thursday -- including the sighting of a funnel cloud seen from Upper Marlboro, Maryland. 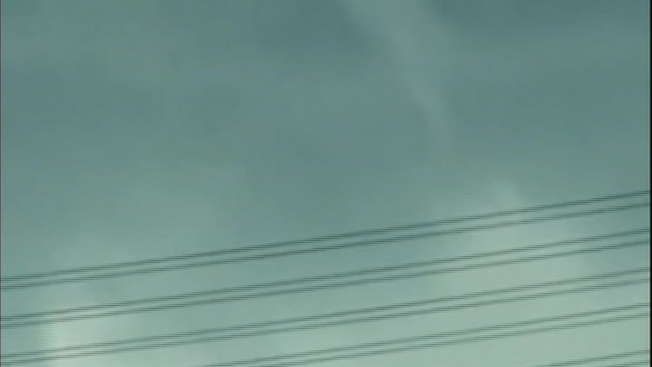 A News4 viewer spotted the funnel cloud at about 7 p.m. Thursday. Parts of Maryland and Virginia had a tornado watch until about 7 p.m. -- right when the viewer spotted that cloud. Storm Team4 Chief Meteorologist Doug Kammerer checked with the National Weather Service, and said the funnel never touched ground. That wasn't the end of the wild weather: a flash flood watch was in effect for much of the area until midnight. The flash flood watch covered D.C.; Anne Arundel, Howard, Montgomery, Baltimore, Harford, Prince George's, Harford, Arlington, Fairfax and Prince William counties; and the cities of Falls Church, Alexandria, Manassas and Manassas Park.